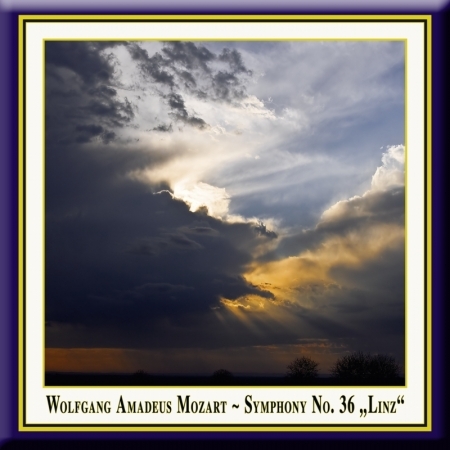 MOZART: Symphony No. 36 in C Major, K.425 "Linz"
DDD · Duration: 30 Min. 09 Sec. awel Przytocki is one of the most talented and exciting young Polish conductors. He studied at the Academy of Music in Kraków, where he graduated with honors from the Faculty of Conducting (1985) under Professor Jerzy Katlewicz. He perfected his skills at the Bartok International Seminar with Peter Eötvös and with the Master Conducting Course at the Oregon Bach Festival in Eugene with Helmuth Rilling. From 1983 to 1987, Przytocki collaborated with the Krakow Philharmonic and, since 1987, with the Grand Opera Theatre in Lodz. From 1988 to 1991, he worked as the Conductor and Music Director of the Baltic Philharmonic Orchestra in Gdansk. In May 1990, he made his debut with the National Philharmonic in Warsaw. Since 1995, he has worked with the Orchestra Sinfonia Varsovia and, from 1995 to 1997, was Music Director of the Artur Rubinstein Philharmonic Orchestra in Lódz. Przytocki is a regular guest conductor with orchestras throughout Poland as well as with the Budapest Concert Orchestra, Orchestra Sinfonica de Xalapa in Mexico, Real Filharmonia de Galicia in Spain, Capella Istropolitana in Bratislava, Philharmonisches Staatsorchester Halle, Neue Philharmonie Westfalen, Bilkent Symphony Orchestra Ankara, Everett Symphony Orchestra in the United States and the Janacek Philharmonic Orchestra Ostrava. His guest performances and concert tours have led him throughout Europe. Pawel Przytocki has participated in numerous international music festivals, including the Athens Festival, 1987, the Musikfest Stuttgart, 1988, the Flanders Festival, 1989, La Chaise-Dieu Festival, 1996, the Kissinger Sommer, 1998, the Bratislava Music Festival, 1999, the Prague Spring, 2001 and the Wratislavia Cantans, 2005. Since 2005, Przytocki has been the conductor for the National Opera in Warsaw. During the 2005/2006 and the 2006/2007 season at the National Opera, he conducted Aram Khachaturian's ballet, Spartacus (premiere -November 2005), Tchaikovsky's opera, "Oniegin", Verdi's, "La Traviata", Puccini's "La Boheme" and the ballet, "Oniegin" with choreography by John Cranko (premiere- April 2007). He has made archival recordings for Polish Radio and CDs for DUX, Aurophon and Point Classic. His recording of Rachmaninoff`s First Symphony, in 1991, has been recognized by the American "La Folia Music Review Magazine" as very special.The magazine labeled it one of the world`s five best recordings and compared it favorably to those of Carlos Kleiber and Svjatoslav Richter. An ideal introduction to one of Poland's most talented and exciting young conductors, whose work has been compared to that of Carlos Kleiber and Svjatoslav Richter.